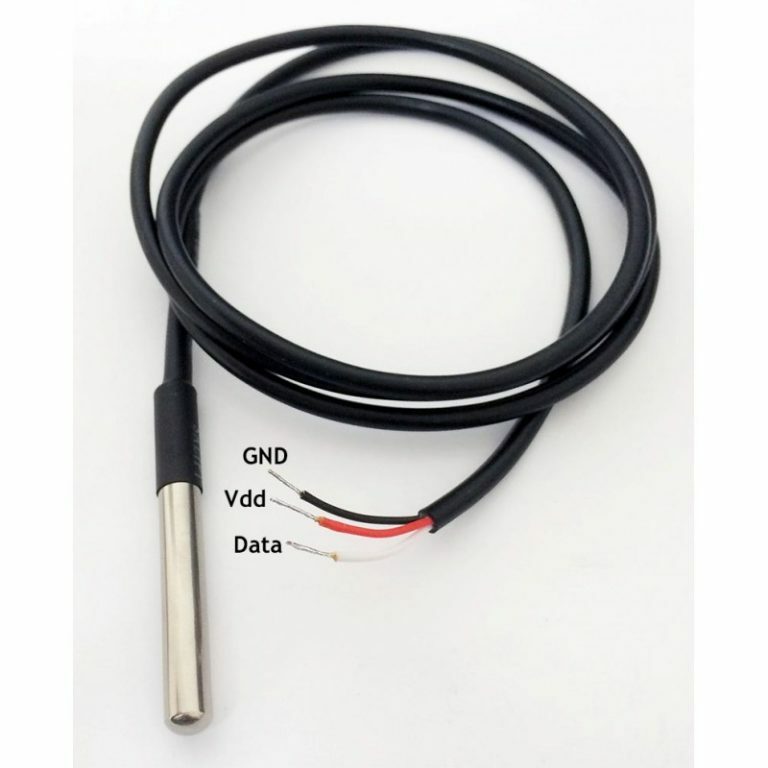 I have covered few temperature sensors in the past eg- LM35, DHT11, DHT22 and also the internal temperature sensor of the STm itself. Today in this tutorial I am going to interface DS18B20 temperature sensor with STM32. The DS18B20 digital thermometer provides 9-bit to 12-bit Celsius temperature measurements and has an alarm function with non-volatile user-programmable upper and lower trigger points. 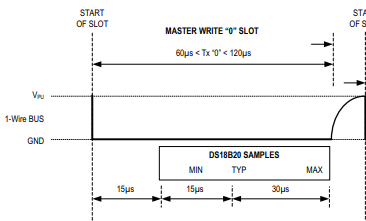 Like DHT11 and DHT22, DS18B20 also communicates over a 1-Wire bus that by definition requires only one data line (and ground) for communication with the microcontroller. Let’s see how to program a ds18b20 temperature sensor using STM32. I am going to skip the Cubemx setup process as it’s usual one only. I am using pin PA1 as the data pin for the sensor and controller is running at it’s maximum frequency. Also I am using DWT library for the delay in microseconds. It will be included in the code when you download it below. We need to write few functions for the sensor. They are as follows..
To write a BIT to the sensor, we need to perform some operation on the data line. To generate a Write 1, after pulling the 1-Wire bus low, the master must release the 1-Wire bus within 15µs. When the bus is released, the 5kΩ pullup resistor will pull the bus high. To generate a Write 0 time slot, after pulling the 1-Wire bus low, the master must continue to hold the bus low for the duration of the time slot (at least 60µs). A read time slot is initiated by the master device pulling the 1-Wire bus low for a minimum of 1µs and then releasing the bus. 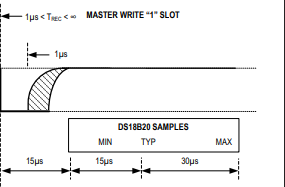 After the master initiates the read time slot, the DS18B20 will begin transmitting a 1 or 0 on bus. It transmits a 1 by leaving the bus high and transmits a 0 by pulling the bus low. 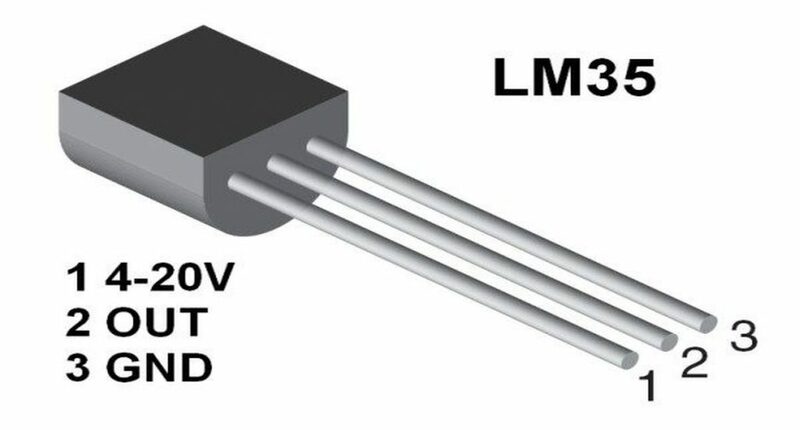 When transmitting a 0, the sensor will release the bus by the end of the time slot, and the bus will be pulled back to its high idle state by the pullup resister. This description very good, need attention read all material.